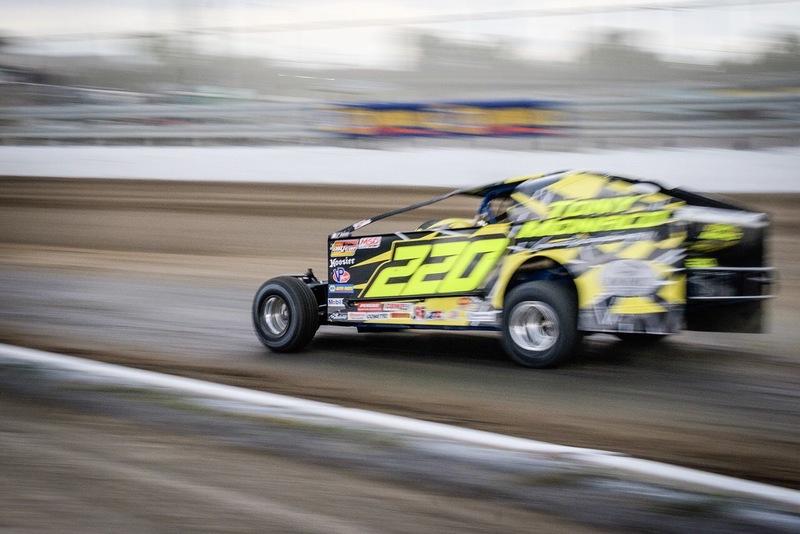 We have all seen that Motorsports image that makes the subject look like it is going 200mph. I think that is how all action photography should be viewed. 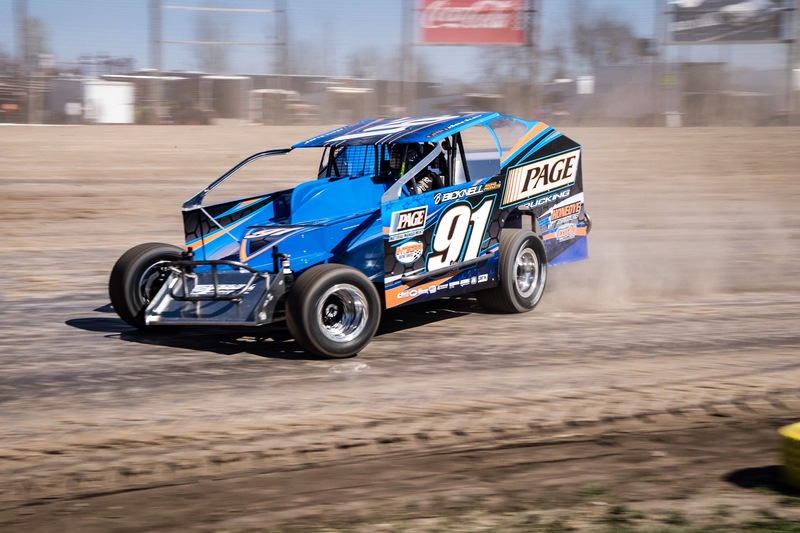 On the opposite side of motorsports photography, you have seen the tack sharp image where it looks like the subject is sitting stalled on the track. I know for me I love racing because if the speed and action. In my opinion that’s how Motorsports should be covered. As for the shooters that capture tack sharp still images, they should be called Still photographers. Now look at both of these images above and below. What looks more appealing to the eye? 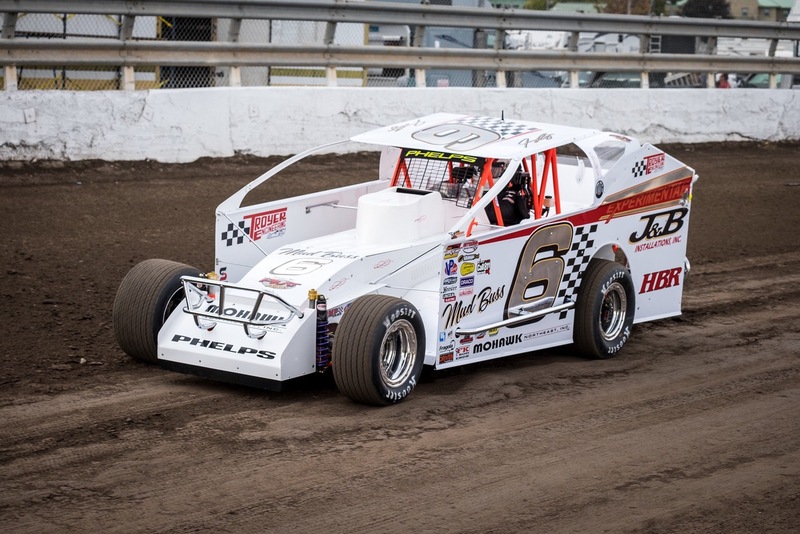 Sure the #6 car of Phelps looks like a nice car and all, but it is just sitting still. 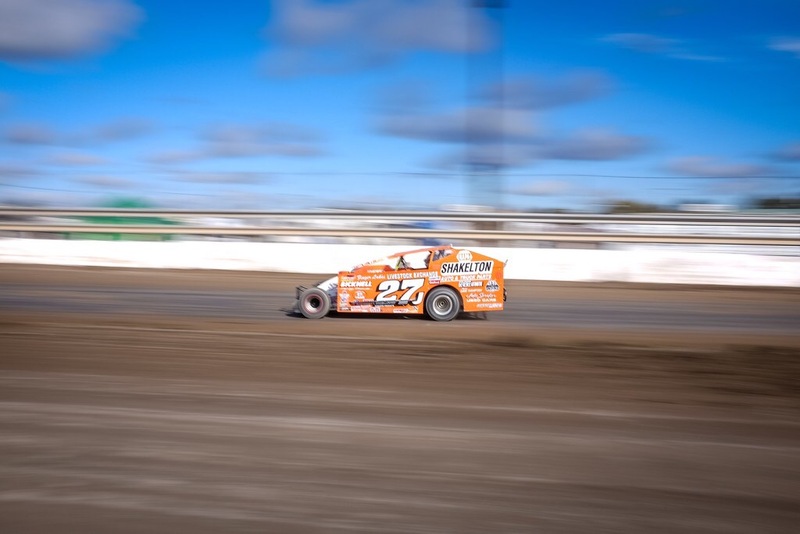 Racecars, motorcycles, etc are built to move, and that’s how we should show them as photographers.The above image of a Billy Decker shows that he is racing around the track. That’s what they do race fast around a track. When we are shooting pictures in the pits, we expect them to be sitting still. When they are on the track we expect them to be moving fast. Ok now how can we get those cars to look like they are moving fast? It’s all in the shutter speed. It doesn’t matter what kind of gear you are using. If you slow down your shutter speed, you are going to capture movement in your subject. I hate to say it but anybody can crank up their shutter speed and capture a wicked sharp image. Maybe in stick and ball sports freezing the action is cool, but not in Motorsports. Slower shutter speeds in other sports might be a different way to cover them as well. Most sports are fast paced and have action in them, so why do we freeze all of the action? I just don’t get it. That is one reason we watch sports is for the action. Now if you are covering poker, or chess, then I understand having still shots. Just saying. Ok now how can you show movement in your shots? Take your camera, (no matter what kind it is), and put it into shutter priority mode, or better yet manual mode. This way you can control your shutter speed. In shutter priority mode you will control SS, and you camer will control aperture. Let’s say you are shooting motorcycles in bright sun. If you slow your shutter speed down to around 1/125th or so, you are gong to be over exposed. So either let your camera close down you aperture, or you do it manually. You might have to close down to a f11 or f16 to get the correct exposer. You may have to take a few shots to see where the correct settings are. Next you need to get your foucus in the proper mode. On my Fujifilm cameras I use continuous focus. This way the camera will continue to track my subject as I pan with it. Ok so your camera is set up to grab some epic speed shots. Ha ha now the tough part. Panning your subject as it flys by you is not a easy thing to do. 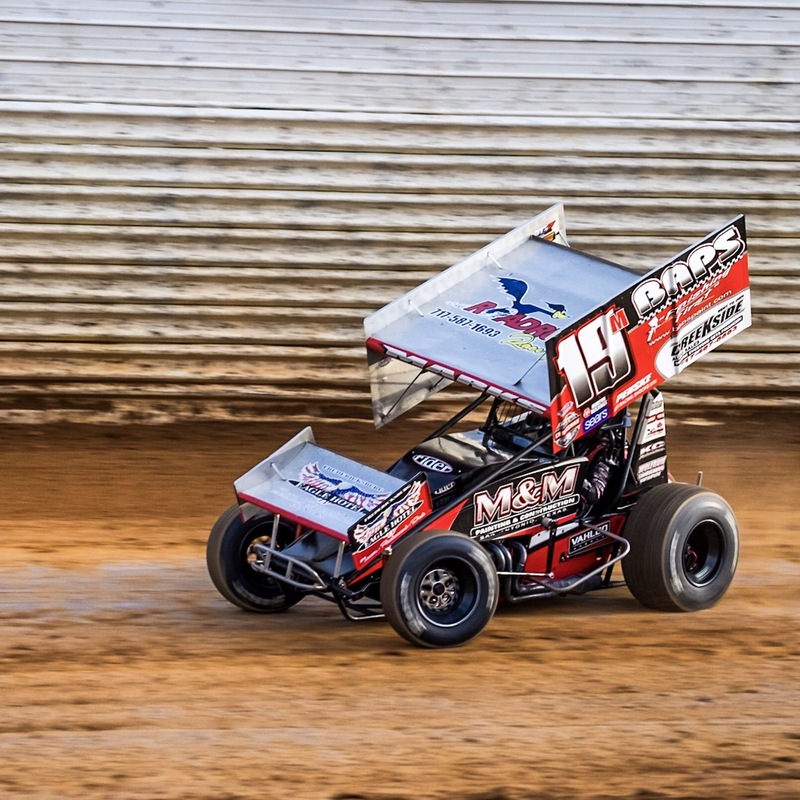 I remember last year at my first sprint car race of the year in PA, it took me a few shots to catch up with the speed of the cars. What works for me is locking on focus as the car enters the corner, and track with it as it comes toward me. Once it gets to where I want to get the shot I press the shutter, and then continue to pan as the car drives past me. Both of these images above I was using my Fuji X100T with a fixed 23mm lens. The top picture I was able to lock on to Danny as he flew by me, but as you can see the image below I missed it completely. Either I missed focus completely or I was to slow while panning. Practice makes perfect. The slower your shutter speed is, the tougher it is to get your subject in focus. 1/125th, 1/250th SS you can nail it most of the time. It’s when you try to get real creative at 1/60th or 1/30th of a second is where it gets tricky. I am all ways trying to grab a sick shot at slow shutter speeds. I start at 1/250th and keep working my way down. 1/30th is tough but hey sometimes you get lucky and grab a keeper. It’s all about panning with the subject, at the same speed. Don’t be afraid to try it. Sure get your keeper shots, but give this a try. Once you get it down you will ,enjoy your images more then the static shots that anybody can capture. Separate your self from everybody else with a camera in their hand. The car shot above was around 1/30th of a second. As you can see the front of the car is in focus, but the rear is out. I think this is cool 😎. 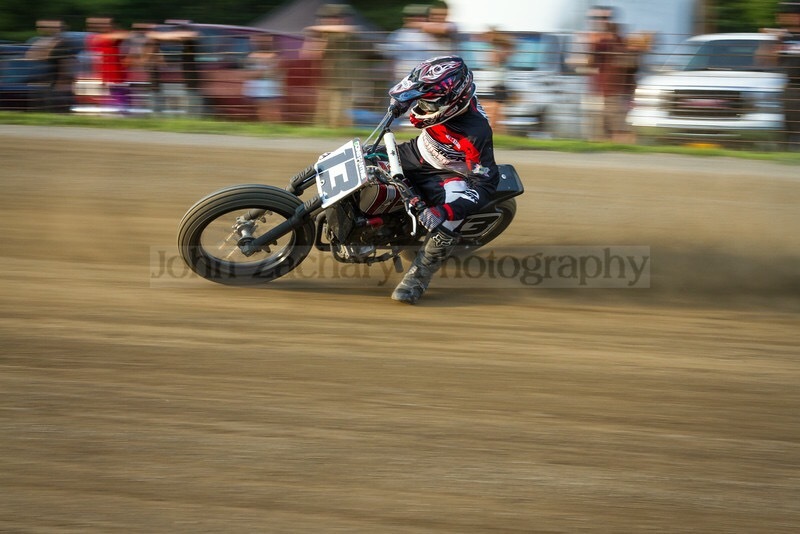 It shows how fast he was gong down into turn one on the mile track. In the shot of the flat rack bike I was around 1/60th or 1/100th of a second. Being a touch fast shutter speed helped keep more of the bike in focus, but still showing great speed in the shot. 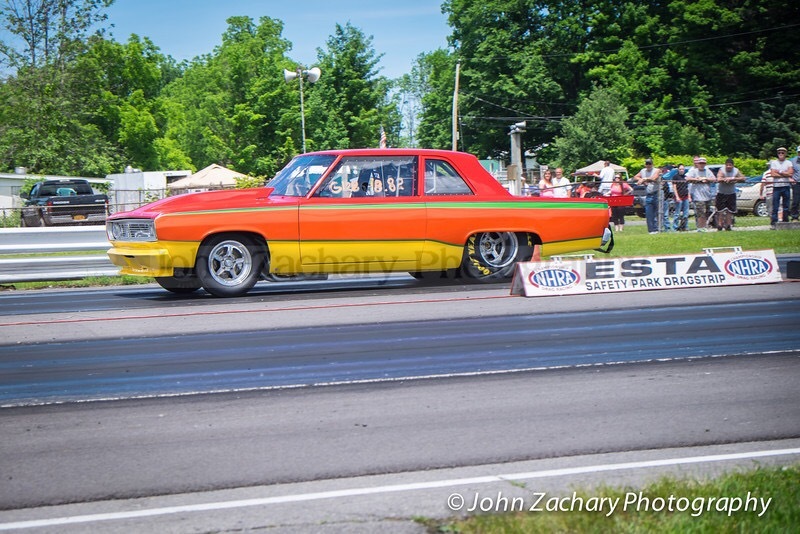 Below are a couple drag racing pics. One with a fast shutter speed and the other with a much slower one. The top one looks cool with the rear tires wrinkling up as he leaves the line, but it still looks like he is just sitting there. Now the bottom shot is showing some speed, and movement at the 60ft mark of the track. 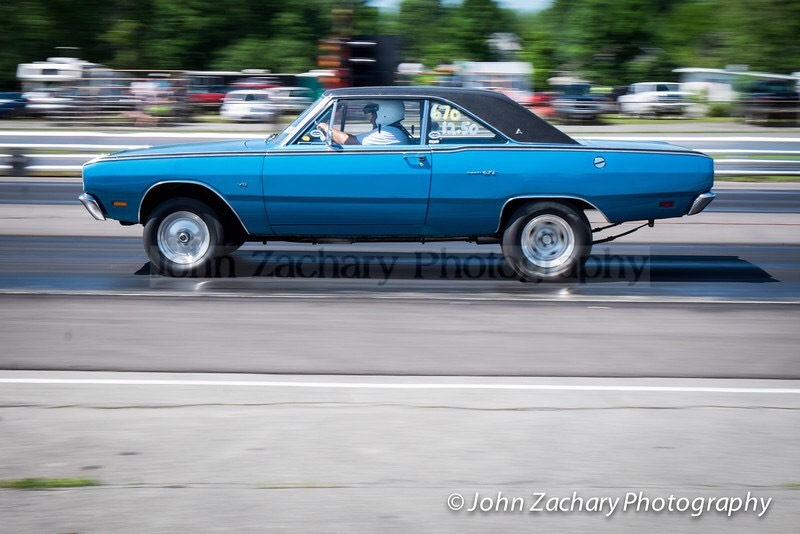 Again that’s why we go to drag races, for the speeed. Carshows are where we take nice images of cars sitting still, not race tracks. 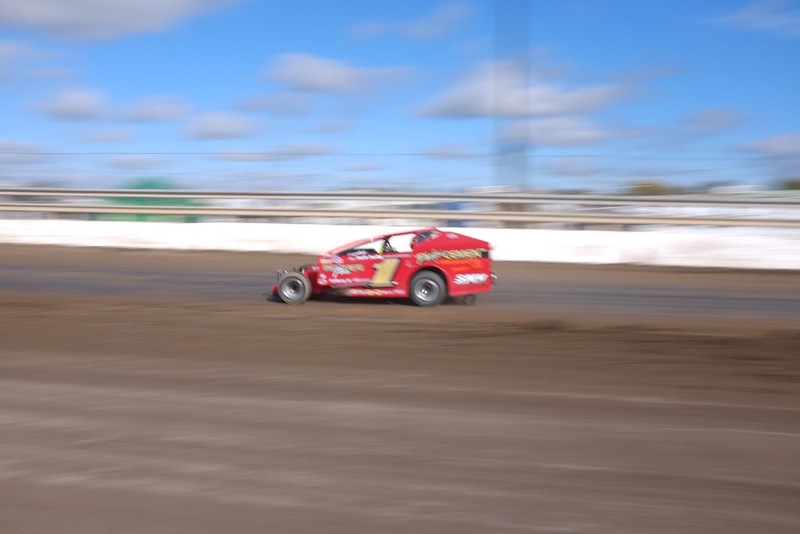 Next time you are out shooting Motorsports, get your money shots, and then turn your shutter speed down and see if you can capture some motion in you shots. You will love it.